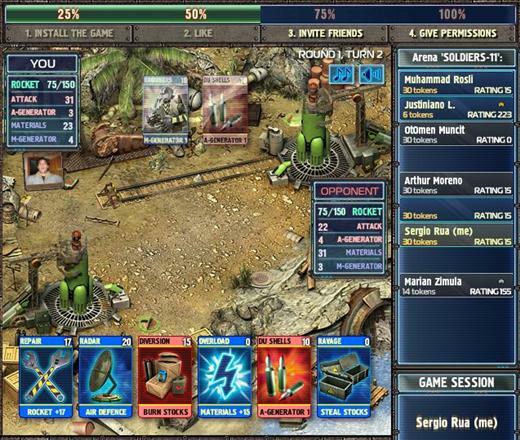 Battle Cards is a strategy collectible card game available on Facebook for free, set up in a nice game scenario. You can fight against other players, you can invite or be invited to play on the game screen, as you advance you’ll have better cards to build your deck and become stronger. Choose your faction – The Brotherhood; Sworn to defend the remnants of humanity through iron-fisted military might, or The Cult; A fanatic, nihilistic sect obsessed with alien technology. Take your place in this ongoing battle, fight your friends or team up with them, and push ahead through the storm of war to become a legend.